Greetings, travellers of the multi-verses. Here is where you can become acquainted with Dazlak, who is my created alter-ego in other worlds and realities. 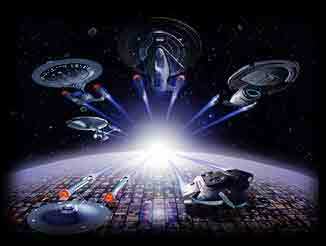 On this page you can share in my Dizzy fantasy universe, which includes Star Trek, Lord of the Rings and Stargate-SG1. I like traversing the boundaries and vast plains of most things Science fiction in written (I am a particular fan of Frank Herbert's Dune saga), TV (Star Trek really is my passion) and movies (Star Wars  yes I'm another one!). I have big plans for this page and would appreciate input from ohter fans of the fantastic; so mail me by clicking on my Starfleet personnel pic and let's explore the many dimensions of the imagination. I'm very keen on getting involved in fantasy/sf rôle play. My name is Dazlak and I'm a half-elf, magic user, okay!? I have created another character (for my own reasons)... He is a (Senior) Captain Daz 'Lak, champion of the Gallactic Alliance of Free Space. I will talk more of him and THAT universe when I've copyrighted it because I REALLY want to talk about this universe that I have been developing  all of my very own!